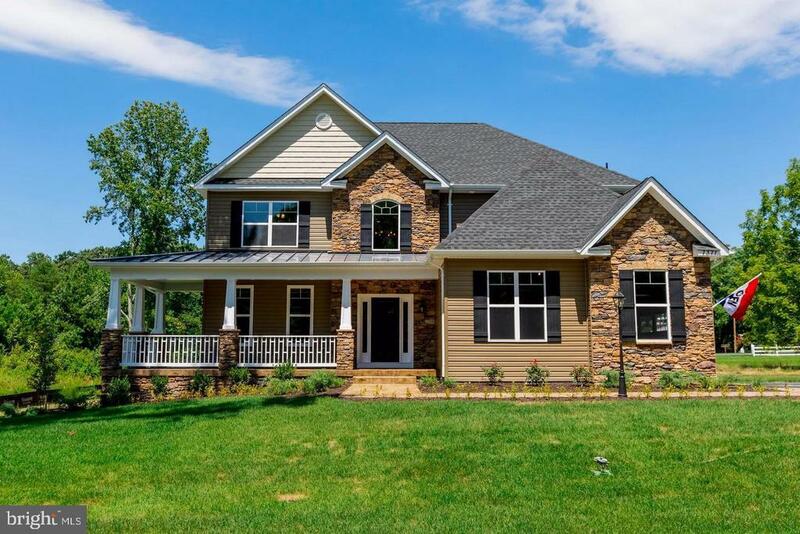 All La Plata homes currently listed for sale in La Plata as of 04/23/2019 are shown below. You can change the search criteria at any time by pressing the 'Change Search' button below. If you have any questions or you would like more information about any La Plata homes for sale or other La Plata real estate, please contact us and one of our knowledgeable La Plata REALTORS® would be pleased to assist you. 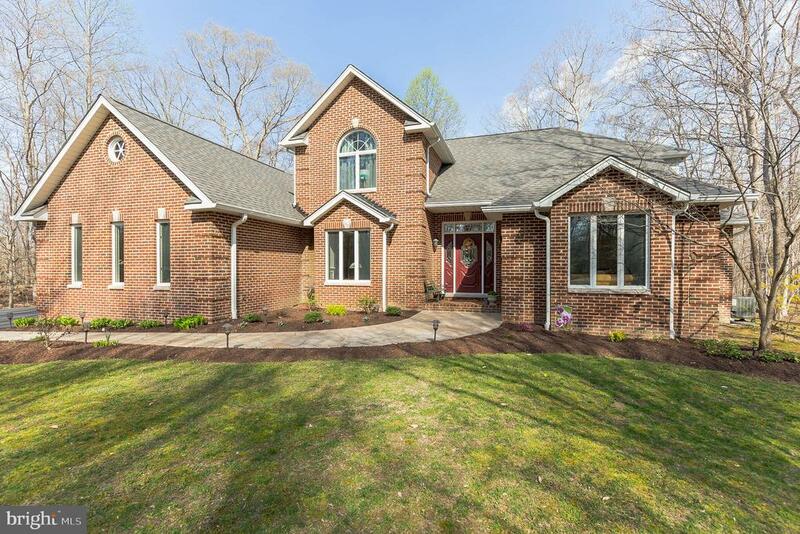 "Custom Built All Brick Colonial boasts 5500 Sq Ft of space above grade plus a finished basement. Use the large In-Law suite for family or visiting friends. Hardwood floors, Crown Molding and Chair Railing throughout. 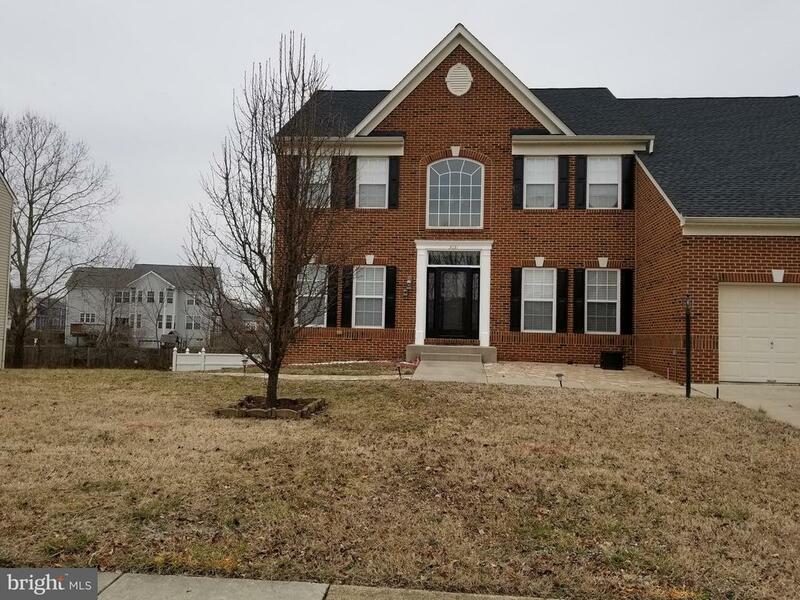 Large rooms, Oversize 2 Car Garage, Large brick Patio, In Law Suite, Exercise room, Spacious Kitchen with Granite and a Fireplace, Huge Brick Patio in the rear, the list goes on & on. 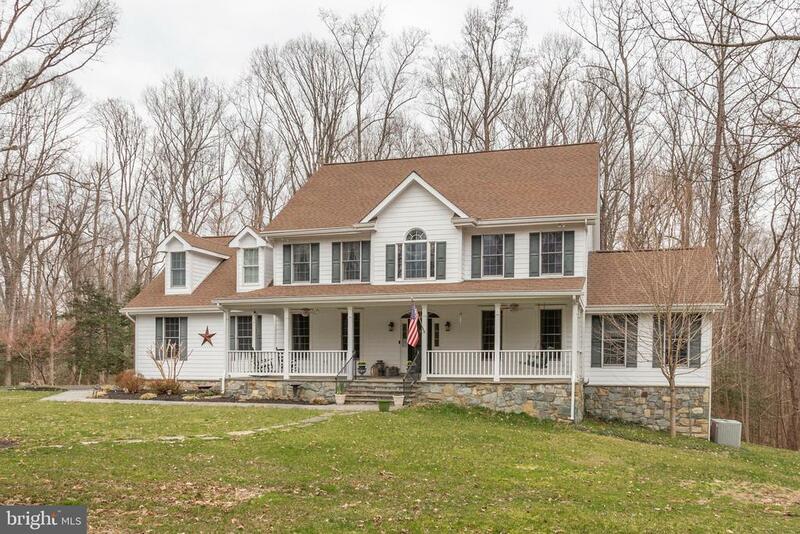 Situated on almost 5 Acres, this home features a private setting just minutes from town. Not in the town limits so no Town Taxes. Great School District, La Plata High, Somers Middle School & Mitchell Elementary." "Don~t miss out! 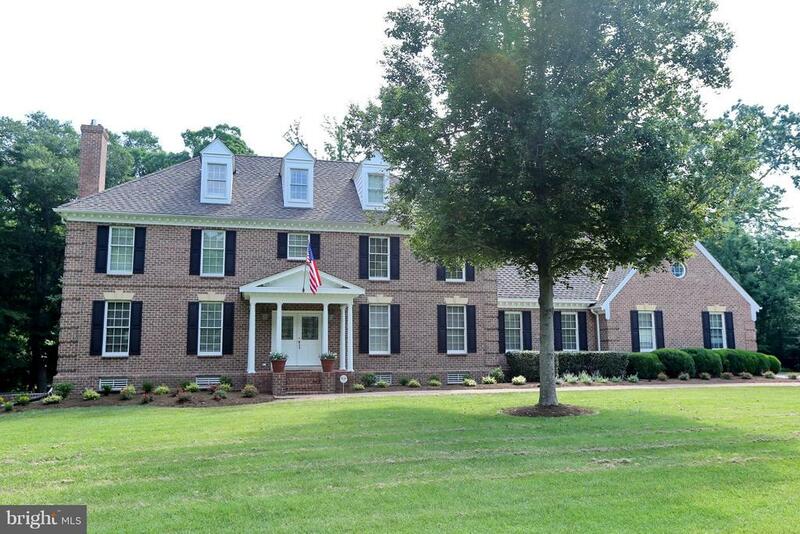 Magnificent custom built all brick colonial on 2 beautifully landscaped acres! 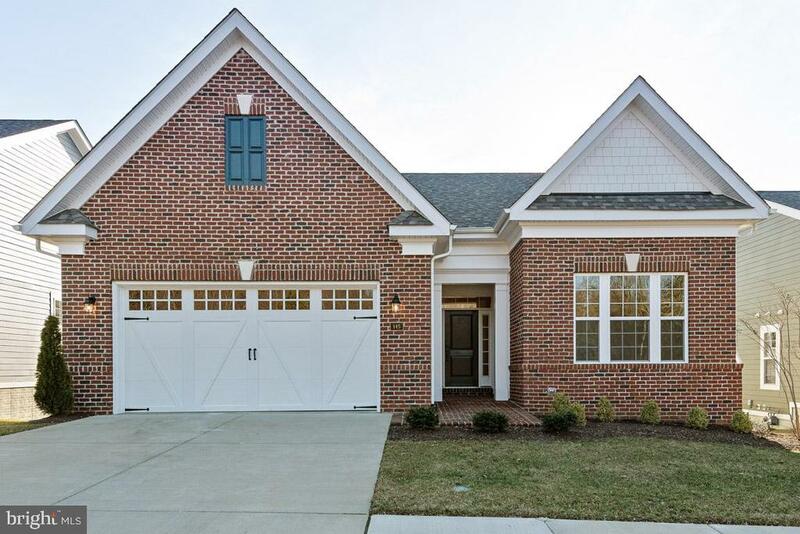 6bdrms, 4.5 baths, 3 car garage, swimming pool, gourmet eat in kitchen w/island, hardwood flrs, 3 fireplaces, 4 finished levels, beautifully remodeled bathrooms, large master suite w/tons of closet and storage space, large bdrms, library (could be bdrm 6), finished walkout basement, and much more!" "This home feature is a TBB!!! ***At Forrest Builders Inc, we are dedicated to the success of each and every custom home we build. We have the ability and talent to custom our services to meet the diverse needs of our clients. We understand how important budget and timing are to a project, and can be assured that we will pay close attention to yours. Home pictured is a large colonial, standard full basement with rough-in, fire place is standard althoug shown here with stone upgrades, large kitchen is standard with granite counter tops and super large island. Hardwood stairs standard. 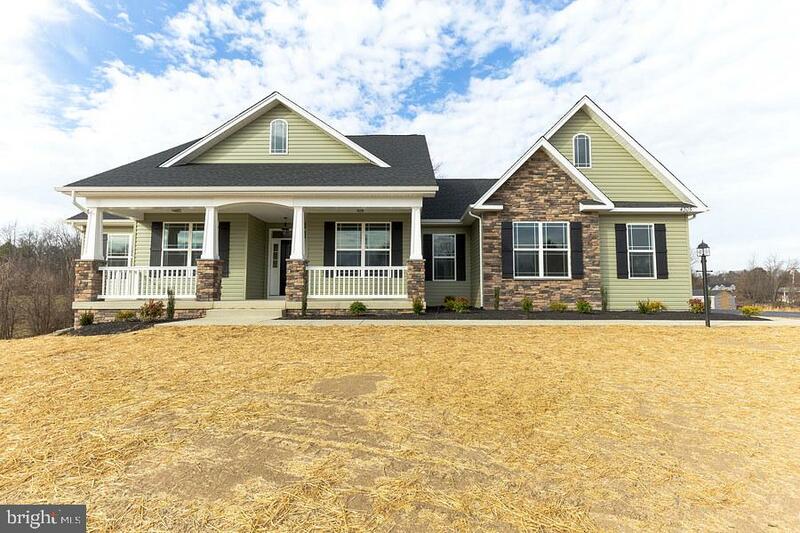 We will build it to your specifications and we have other models you may chose or bring us your own plans - We have other models starting at $439K -"
"Fantastic House!!! PLEASE WATCH VIDEO!!! If you are looking for high quality construction with a ton of upgrades, this is it!!! 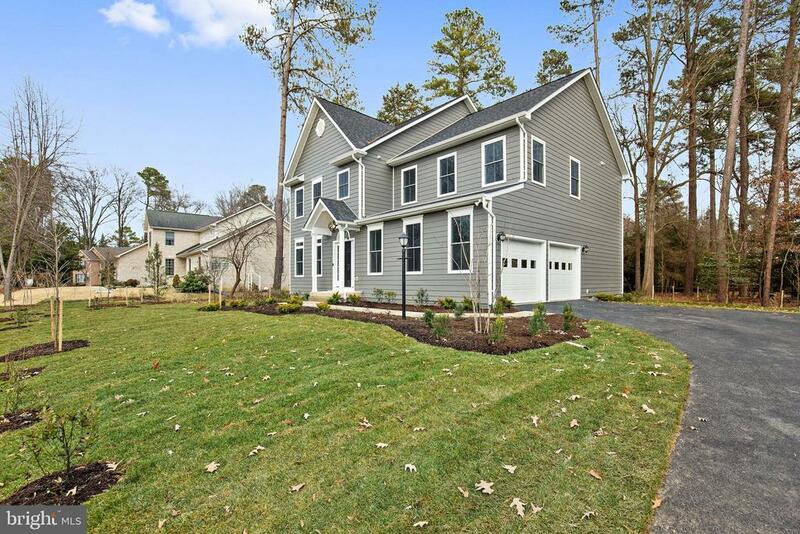 Driving up the private drive to the over-sized 3 car garage you will see the exterior has high end 7 inch exposure hardiplank siding with a spectacular cedar shake roof. The driveway is side load with plenty of parking both inside and out. The brick sidewalk leads to a charming elevated front porch perfect for relaxing and gathering with friends. Going inside you will find an expansive formal foyer with random width hardwood floors which are the same floors throughout the entire home including upstairs hallways and bedrooms. The kitchen has granite counters with Quaker made custom cabinets with a butcher block island. 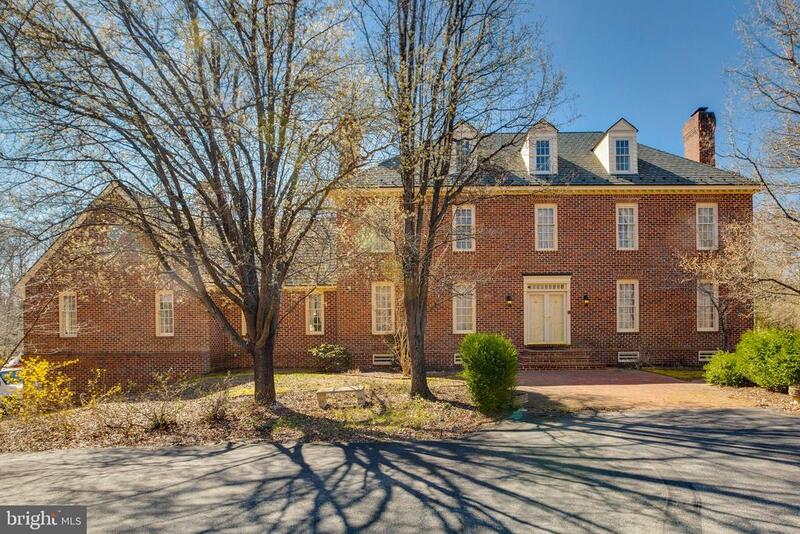 There are wood shutters, crown molding and chair molding throughout the entire home as well. 2 fireplaces. There is a huge family room with stunning fireplace leading to a game/sun room perfect for additional entertaining space. Home has two separate staircases leading to second floor with oversized bedrooms with three full bathrooms. Master bedroom has separate bathroom starting with pocket door entry, expansive ceramic tiled shower that is one of a kind and dual vanities with huge walk in closet as well. Master bedroom also has separate sitting room that could be converted to perfect get a way or baby nursery. Upper level has 4 bedrooms with 4th bedroom near back stair case that has its own separate full bathroom that can be used for a second master bedroom which is very hard to find. Laundry room is on upper level as well, large enough for side by side washer and dryer, ironing board and table space. House has 3 separate HVAC zones, Anderson Thermal windows with custom wood shutters. There is also a separate living room and dining room on first level as well. This house is fantastic and is located in a very prestigious neighborhood just minutes from downtown La Plata. 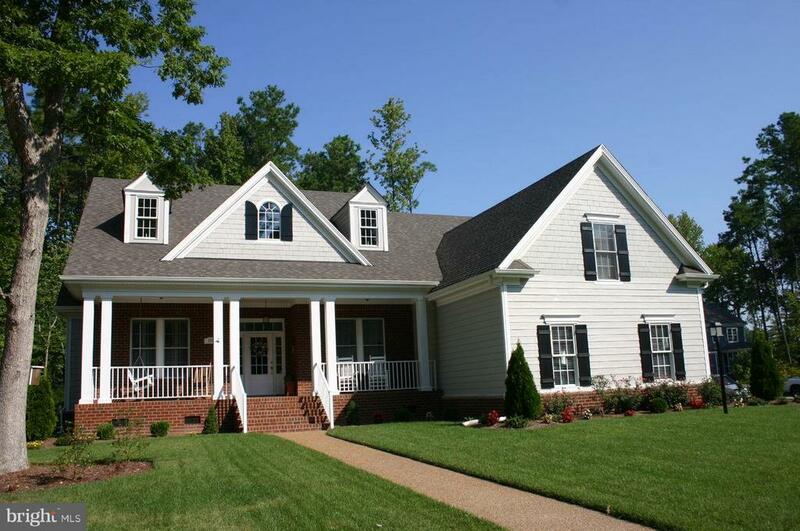 Which has shopping, retail, resta"
"Peace and privacy in this beautiful custom home on over 6 acres!.4 BR/3.5 BA. Gorgeous hardwood floors, large eat in kitchen w/island, double ovens. Large porch, deck, 2 fireplaces, sunroom/office w/cathedral ceilings.Partially finished basement w/walkout. 2 car garage, lovely front porch -Lots of space to enjoy nature and the good life. Property actually contains two lots-PLAT available on request." "LAPLATA SCHOOL DISTRICT*WHAT AN AMAZING HOME*THE LINCOLN PARK RAMBLER BY WILKERSON BUILDERS IS STUNNING*4 GENEROUS SIZED BEDROOMS*MASTER SUITE HAS CERAMIC SHOWER AND SOAKING TUB*OVERSIZED CLOSET WILL AMAZE YOU*LARGE OPEN CONCEPT MAIN LEVEL WITH GAS FIREPLACE*ENJOY NICE DAYS ROCKING ON YOUR FRONT PORCH** GRANITE KITCHEN COUNTERS*STAINLESS APPLIANCES* HARDWOOD FOYER*GAS FIREPLACE*UNFINISHED BASEMENT WITH 3 PIECE FULL BATH PLUMBING ROUGH IN*SIDE LOAD 2 CAR GARAGE*GORGEOUS 3.5+ LOT* WE ALSO HAVE MANY LOTS TO CHOOSE FROM IN ONE OF OUR 8 COMMUNITIES*CAN ALSO BUILD FROM YOUR PLANS*$12,000 CLOSING PAID WHEN USING ONE OF OUR PREFERRED LENDERS AND SETTLEMENT ATTORNEY*LIKE THE PLAN BUT WANT TO MOVE A WALL OR ADD OR DELTE SOMETHING ELSE? 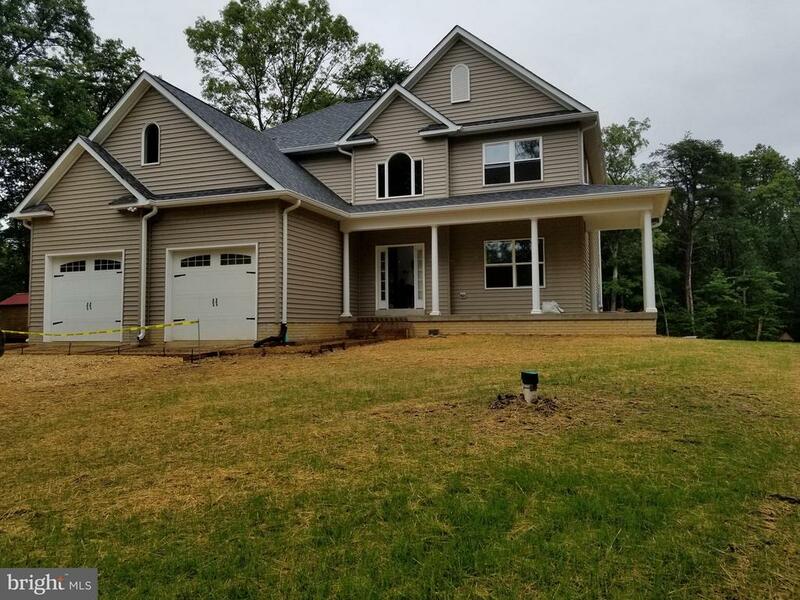 *WE CAN MAKE THAT HAPPEN*WE ARE A TRUE CUSTOM BUILDER AND CAN MODIFY PLANS TO MAKE YOUR HOME UNIQUE FOR YOU* COME SEE THE DIFFERENCE IN A WILKERSON BUILT HOME* YOU WILL BE AMAZED AT THE QUALITY AND CRAFTSMANSHIP*CONVENIENT ONE LEVEL LIVING*"
"TO BE BUILT ON PRIVATE 20 ACRE LOT. 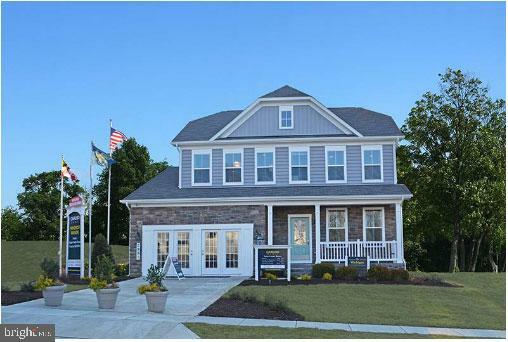 Visit the model home at 2375 South Hampton Drive Bryans Road MD. You can drive by the lot as well." 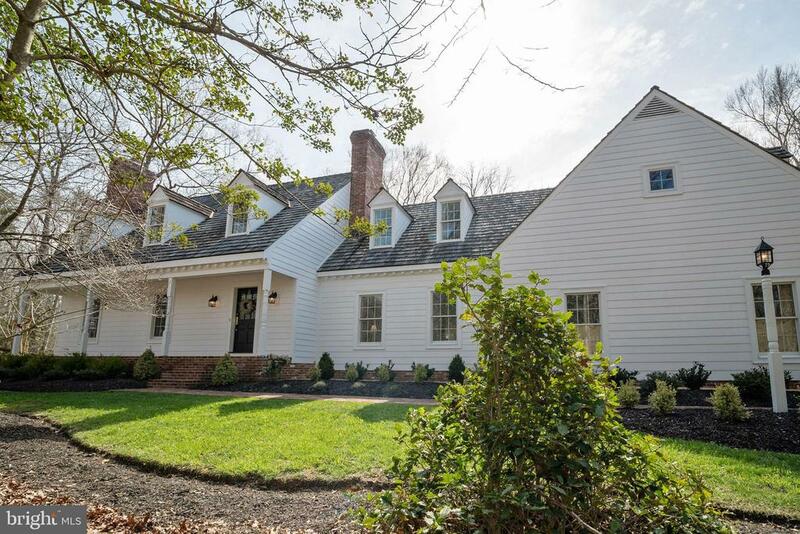 "OPEN HOUSE SUNDAY 4/14 !! PIC SHOWN OF PREV BUILT SAME MODEL*THIS HOME WILL HAVE A MORNING ROOM,BEAUTIFUL LAMINATE FLOORS IN MAIN LEVEL*HARWOOD STAIRCASE*LARGE KITCHEN*TONS OF WINDOWS*TILE MASTER BATH*WALK-IN CLOSETS*UNFINISHED FULL BASEMT WITH R/I*WHEN YOU WALK INTO A FORREST HOME YOU SEE OUR QUALITY CRAFTSMANSHIP AND INNOVATIVE DESIGN*OUR CUSTOMER SERVICE IS SUPERB AND ATTENTIVE AND AVAILABLE! 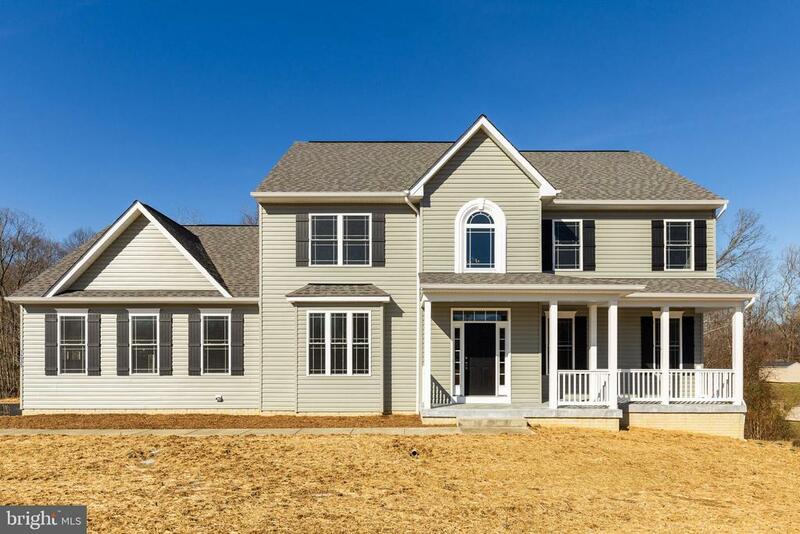 NORMANDY PRICES START AT $449K - COME SEE WHAT LOTS ARE STILL AVAILABLE"
"TO BE BUILT LOT ONLY NOW Emory II This Caruso Classic is To Be Built on this 3 acre lot located in La Plata MD. The Building process WILL take from up to 9 Months. Gourmet Kitchen, SS, Appliances and Some First Floor wood Flooring, This Home has 2 levels above grade living 2962 Sq Ft with a Crawl Space. Pics of Model Home to view. To see Options visit Caruso Homes, com. 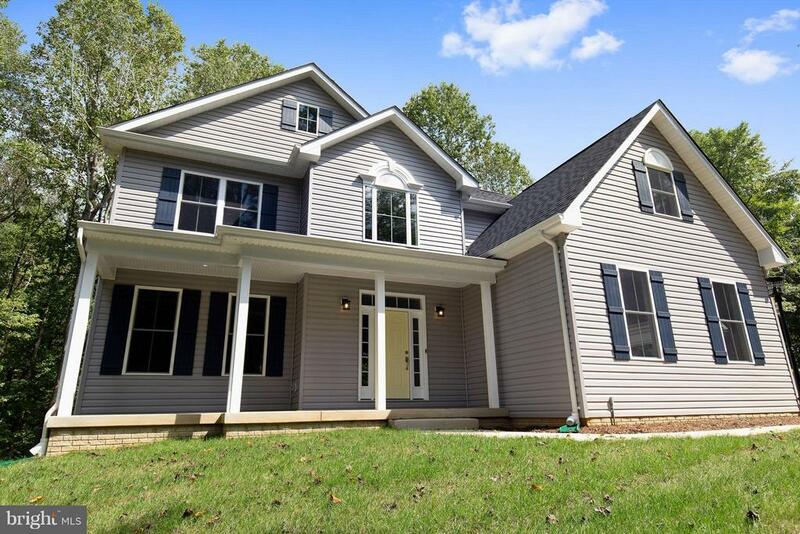 - sought after school district- Commuting distance to Wash. DC and Pax River/Lexington Park- Zoned for accessory apartment (separate entrance/electric meter)- Privacy but still close to everything- live in the country, work in the city- 4 bedrooms on 3 acres"
"TO BE BUILT- Homes reflecting your personal taste. Built with the craftsmanship of architectural charm & modern comfort. Deep porches, distinctive pillars & unique front doors lead inside to open floor plans that use space efficiently. Loads of windows & Kitchens full of beauty and function. Basements, Studies, Work space, and pocket doors for flexibility. Creating a place of stability & beauty"
"TO BE BUILT LOT ONLY NOW Oxford This Caruso Classic is To Be Built on this 3 acre lot located in La Plata MD. The Building process WILL take from up to 9 Months. Gourmet Kitchen, SS, Appliances and Some First Floor wood Flooring, This Home has 2 levels above grade living 2530 Sq Ft with an Unfinished basement w/ rough in. Pics of Model Home to view. To see Options visit Caruso Homes, com. Available Questions! - sought after school district- Commuting distance to Wash. DC and Pax River/Lexington Park- Zoned for accessory apartment (separate entrance/electric meter)- Privacy but still close to everything- live in the country, work in the city- 4 bedrooms on 3 acres"
"Coming Soon! Don't miss your chance to own this meticulously maintained, custom built home at the end of a cul-de-sac. Extensive recent upgrades and renovations make this the perfect place to call home. Find peace of mind and privacy in the secluded and flat 5.34 acres. Plenty of room to explore and grow. Your new magnificent kitchen features Silestone countertops, upgraded and newly replaced appliances, ample counter space, instant hot water and breakfast bar seating. All bathrooms have been recently updated with granite and new tile. Newer roof, skylight and gutters... Too many upgrades to list!" "SELLER MOTIVATED TO SELL. BRING ALL OFFERS. SELLER HAS FOUND A HOME. 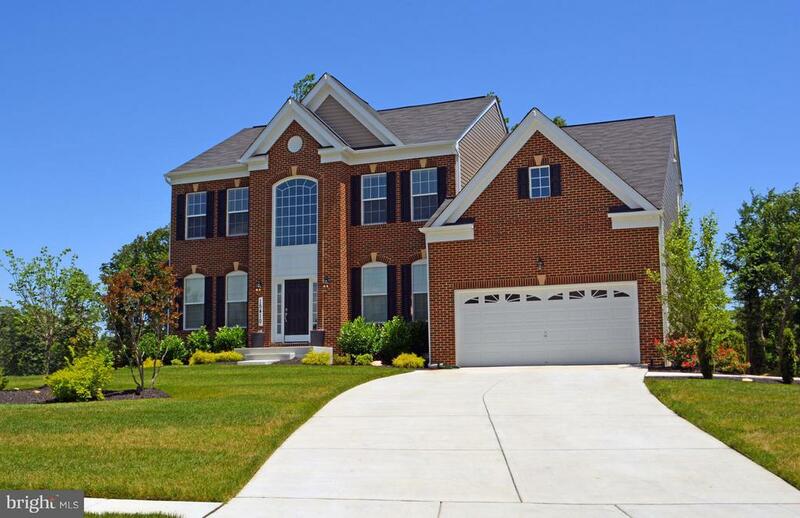 Beautiful brick front colonial with double staircase and open floor plan. Formal entrance with columns that compliments the separate living and dining room. The large family has a connection for a gas fireplace, the spacious kitchen with elegant backsplash give the home a customized touch. I can go on and on with the features that this home boast of, but the seller prefer you to have your own private tour of the home. You willnot be disappointed!!!!" "This Charleston Villa will fulfill every wish you have for a new home. It offers an open homestyle at its best! The open Kitchen, Breakfast area, Dining area, and Great Room is designed for the family-oriented homeowner. Everyone will want to be invited to all your events! In addition, your Owner~s Suite has been extended to make it even more spacious. There is more, the lower level is finished with a rec room, second kitchen area, a very generous sized bedroom with its own entrance to a full bath. To see it is to love it!" "TO BE BUILT! 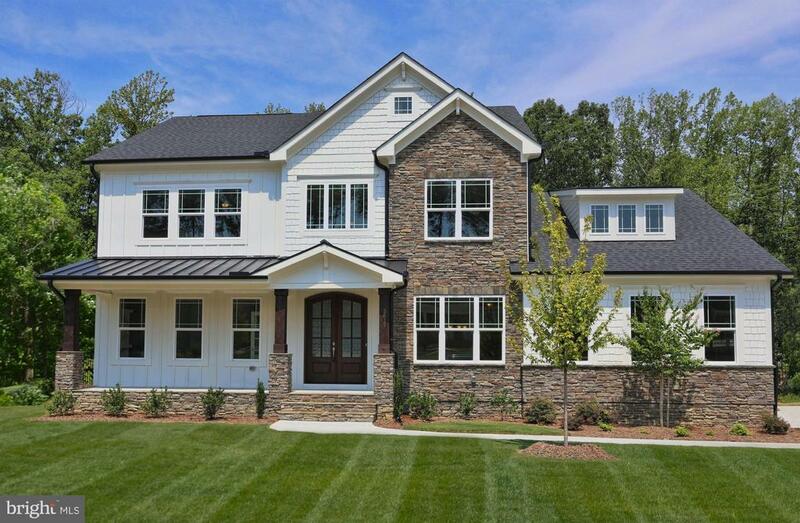 Build your custom dream home on a Penns Hill Road. Private 3 acre lot in the 4-house subdivision of Rustic Acres. Zoned for fantastic schools. Bring your own builder or use ours. Various plans available. Pictures of homes are only for illustration. Make an appointment to walk the lot or discuss plans. Not ready to build? Just purchase the lot." 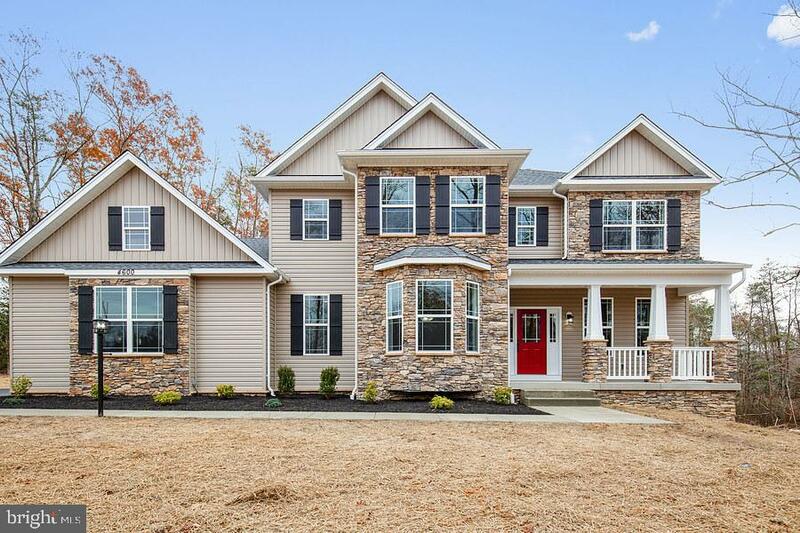 "Build your dream QBHI Home in our newest neighborhood called Fischer's Grant in LaPlata, Md. Visit qbhi.com to choose floor plan and see base pricing. This neighborhood will offer 44 1+ acre lots in the first phase and possibly future phases." "TO BE BUILT LOT ONLY NOW Treemont This Caruso Classic is To Be Built on this 3 acre lot located in La Plata MD. The Building process WILL take from up to 9 Months. 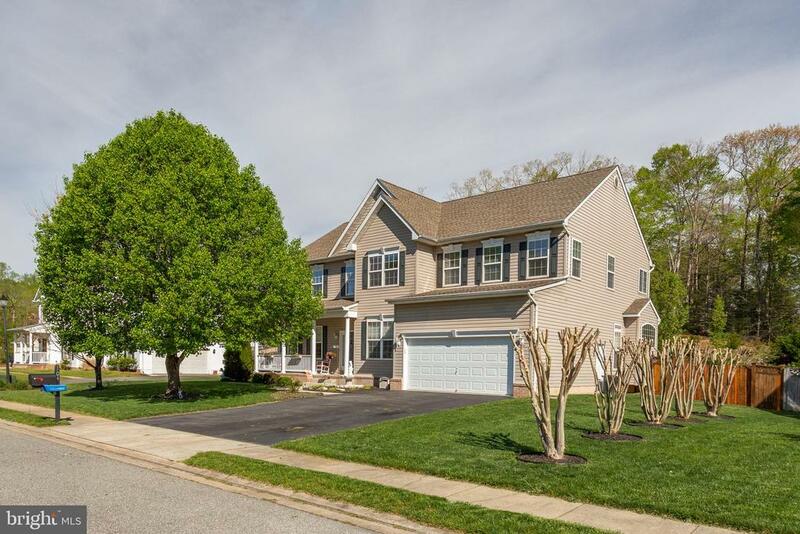 Gourmet Kitchen, SS, Appliances and Some First Floor wood Flooring, This Home has 2 levels above grade living 2469 Sq Ft with an Unfinished basement w/ rough in. Pics of Model Home to view. To see Options visit Caruso Homes, com. 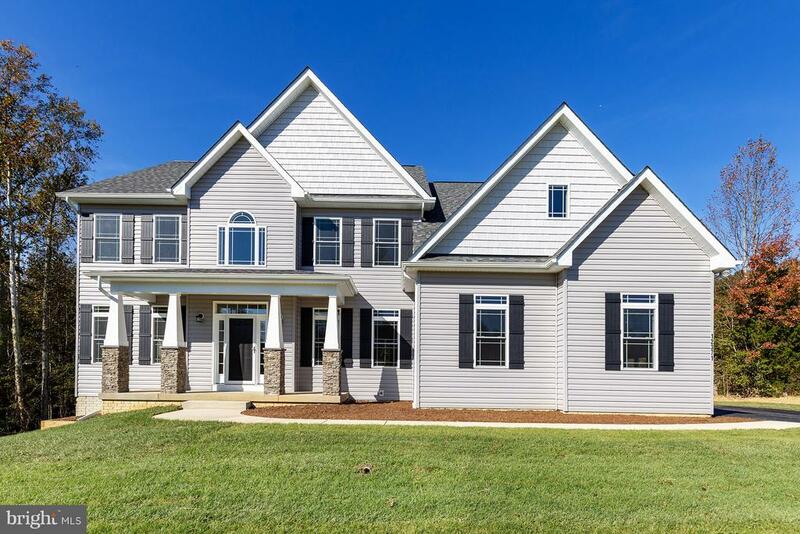 - sought after school district- Commuting distance to Wash. DC and Pax River/Lexington Park- Zoned for accessory apartment (separate entrance/electric meter)- Privacy but still close to everything- live in the country, work in the city- 4 bedrooms on 3 acres"
"TO BE BUILT*** Picture shown is the Jersey Model! 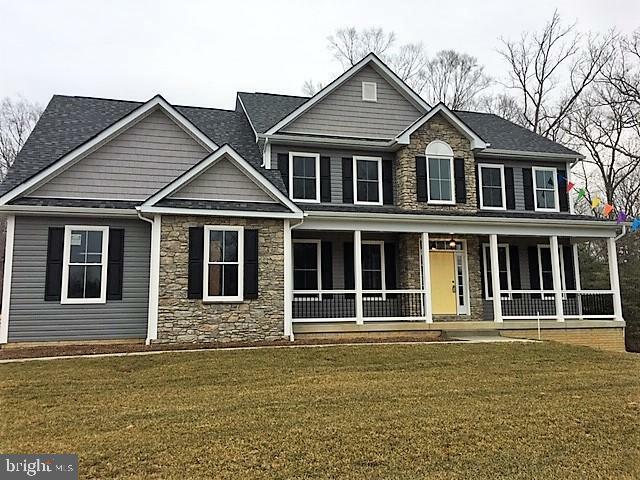 Base Jersey price is $464,000At Forrest Builders Inc, we are dedicated to the success of each and every custom home we build. We have the ability and talent to custom our services to meet the diverse needs of our clients. We understand how important budget and timing are to a project, and can be assured that we will pay close attention to yours. We have other floor plans we can build to suit your needs and budget. Or bring us your own plans. We offer unfinished basements standard with bath rough-in. Fireplace is standard, large kitchen with granite countertops and large island is standard! Hardwood foyer and stairs is standard, dual heating and cooling is standard, call us and we can answer all your questions!! We would love to build your dream home." "To Be Built - Homes reflecting your personal taste. Built with the craftsmanship of architectural charm & modern comfort. Deep porches, distinctive pillars & unique front doors lead inside to open floor plans that use space efficiently. Loads of windows & Kitchens full of beauty and function. Basements, Studies, Work space, and pocket doors for flexibility. Creating a place of stability & beauty"
"**TO BE BUILT**THIS IS A BEAUTIFUL COLONIAL BASE PRICE $469,000 TWO STORY FOYER WITH H/W FLOORS CUSTOM MADE KITCHEN WITH GRANITE COUNTER TOPS, TILED MASTER BATH FLOOR AND TUB SURROUND,WE HAVE MANY FLOOR PLANS MANY LOTS, DIFFERENT SUBDIVISIONS, APPLIANCE ALLOWANCE, ELECTRICAL FIXTURES ALLOWANCE, CUSTOMIZE THIS HOME TO FIT YOUR NEEDS, LARGE MASTER BEDROOM ! YOU DREAM IT WE BUILD IT"
"Great family neighborhood, close to schools, 5 minutes from downtown La Plata. Part of last phase of subdivision construction, on a loop off main thoroughfare of subdivision (no traffic! ), fully wooded back yard (privacy), half of basement fully finished w/ full bathroom, direct access outside, rest of basement for storage with installed shelves, and a workbench area. Sunroom extension of kitchen, extended length 2 car garage. 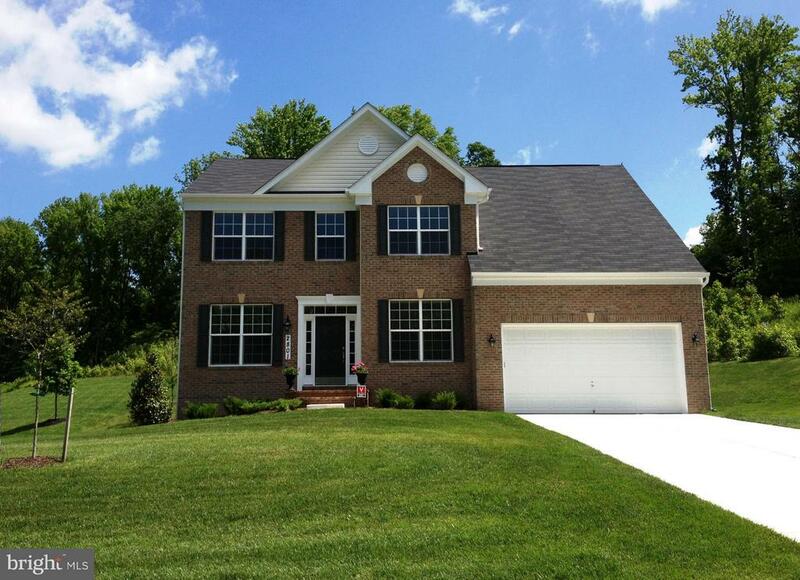 10~ ceilings on 1st floor, 5 bedrooms (2 of 5 are master suites) and laundry room all upstairs. Best schools in Charles County, commuter range to NAS PAX River, Joint Base Bolling, Joint Base Andrews, NSWC Indian Head, NSWC Dahlgren, multiple access routes to Wash D.C. Beltway. Small town size with mid-size city amenities: wide range of restaurants, shopping, full service hospital 3mi away, walking/biking trails to nearby park/lake. Easy access to recreation areas; fishing, hunting, and boating on Potomac and Patuxent Rivers."